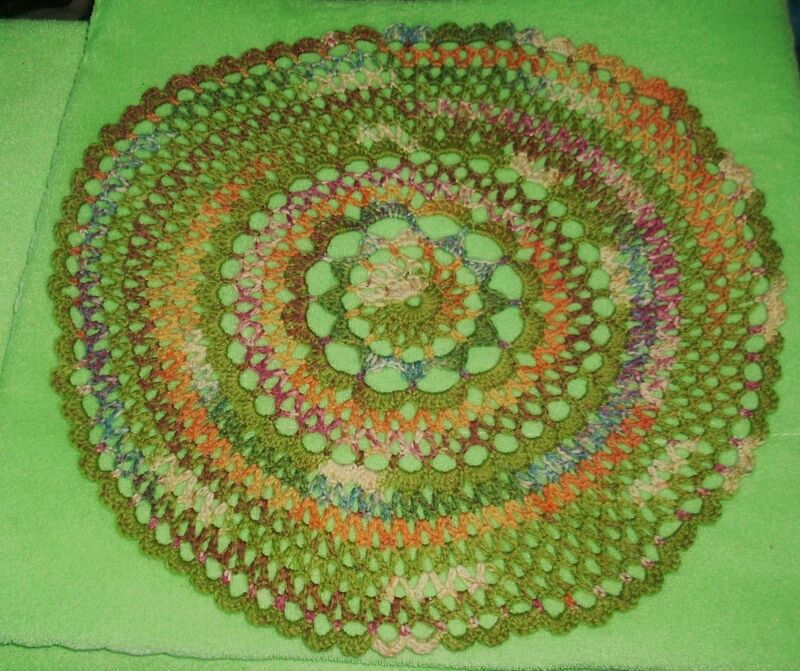 Custom made doily about 18" across. 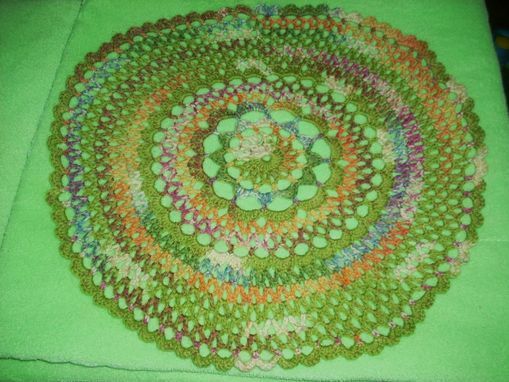 This was made with a variegated sock yarn. The customer wanted a large centerpiece for her table. 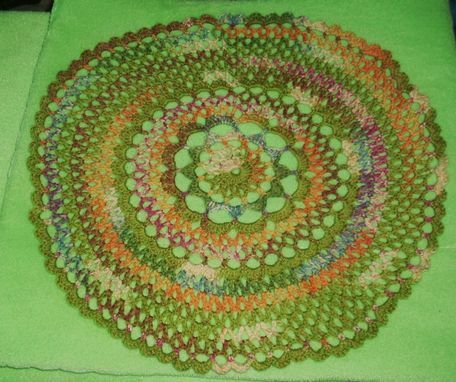 She also wanted it colorful with lots of green to match her kitchen decor.